This unique homemade jam gives a ‘taste of the Irish summer’. It is made from the highest quality of locally grown Irish strawberries. It is made of 100% pure and natural ingredients. It is gluten free and is also suitable for vegetarians. 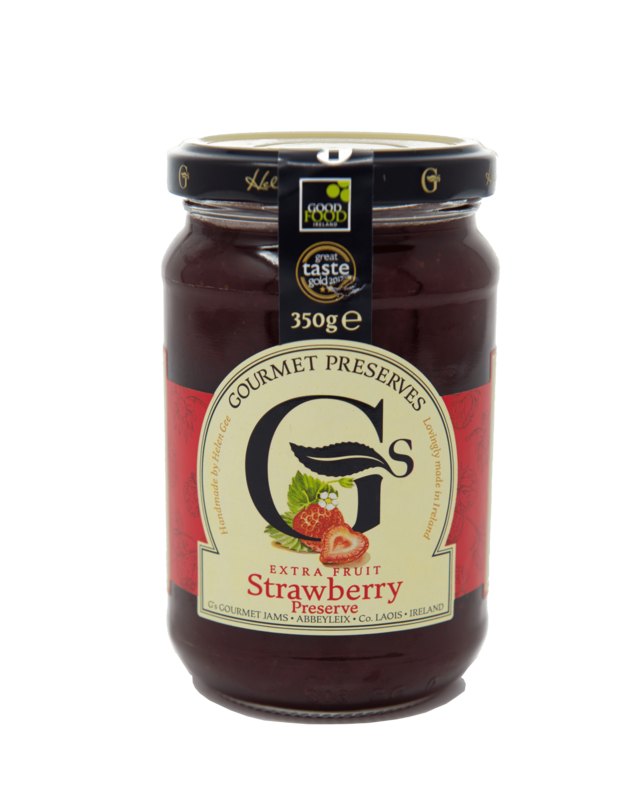 This product is very unique and contains no artificial preservatives, colourings or additives, and is aimed at those who enjoy a ‘made in your own kitchen’ quality of strawberry jam that you don’t find in your average processed pot of jam. Once that lid is popped open, you can taste and smell the freshness of this homemade Irish product. Tastes delicious served with a dollop of fresh cream on warm freshly baked scones.